It’s about more than gender dynamics: Do social institutions get in the way of dads being dads? In most families, mothers and fathers both work hard. Pew Research recently reported that moms and dads in the U.S. work essentially equal hours when paid work hours are combined with household chores and child care hours. Pew also reports that fathers are putting more time into their families than ever before. Yet, many social scientists argue that subtle forms of parenting inequality endure. Patriarchy and traditional roles to blame? Some scholars and commentators argue that this inequality results from a patriarchal gender ideology: a power dynamic that affects how parents socialise their children and what roles men and women take on in families. As a scholar who focuses on fathering and men’s health, I see my research paint a more complicated picture. While traditional gender attitudes and expectations tell an important part of the story, inequalities between moms and dads are not driven solely by beliefs or interpersonal interactions. Fathers repeatedly tell researchers they want to be more involved parents, yet public policy and social institutions often prevent them from being the dads they want to be – hurting moms, dads and children alike. Engaging dads in prenatal care is a potentially powerful way to help set dads on positive parenting trajectories. I recently participated in a symposium of social work researchers that highlighted the importance of engaging fathers during this “magic moment” in their lives. 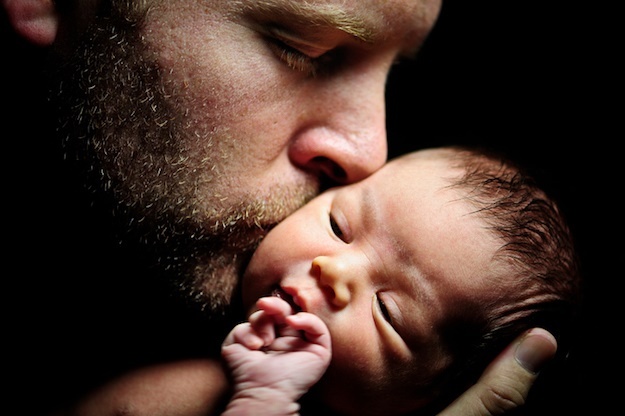 Dads who are actively included in prenatal care form a stronger “father” identity for themselves and are good parents by virtually any measure. In fact, the impact of the prenatal period is often stronger for dads who are already at risk of having low levels of engagement. Yet, dads are often actively excluded from prenatal care. Obstetricians’ offices are rarely designed in ways that help doctors and nurses engage dads with their unborn child. For example, many ultrasound rooms do not include space for fathers to see their child for the first time. In general, obstetricians emphasize mother and child health – to the exclusion of other members of the family system. Childbirth courses, similarly, often tell dads they should be supportive, but do little else to address the father’s role. Family health and well-being are important after babies are born, too. Fathers, like mothers, can experience postpartum depression and struggle with the transition to parenthood. Recently, pediatricians have taken a more substantive role in addressing postpartum depression in mothers. Fathers seldom get the same attention. This lack of support from the medical profession may hurt families in the long run. My research suggests that being a parent has similar negative effects on the mental health of mothers and fathers. In fact, in some cases, we found that fathers were more likely to experience depression than mothers. Failing to acknowledge the mental health of fathers can be problematic. Like depression in mothers, paternal depression has negative effects in early childhood and beyond. Obstacles to more involved fathering extend beyond health care. Many mothers and fathers struggle to balance family and careers. Public and private policies often contribute to the difficulty, forcing parents to prioritize one or the other. The U.S. is the only industrialised nation in the world that doesn’t guarantee paid maternity leave. To make matters worse, few families have a choice as to whether the mother or father stays home: Less than one-fifth of American employers offer paid paternity leave. Meanwhile, several European countries (including France and the U.K.) have mandated paternity leave. Research has shown that generous family leave policies positively impact family health, parents’ well-being and gender equity in the workplace. Yet, these benefits may not be enough. For example, many men do not use leave or flextime if they believe it will damage their careers or reputation. My own research – with colleagues from Brigham Young University – focuses on workplace culture and its significance for fathers. Using data collected from fathers of children aged 2 to 17, we found that even reluctant fathers were more nurturing, emotionally engaged and better co-parents if they worked for organisations with cultures and policies that promoted family involvement. A dad can mother too! Are SA's laws discriminating against dads? Fathers, like mothers, can help their children grow and learn. It’s clear that children in families with fathers benefit from having an engaged, warm, nurturing dad. Likewise, moms, both at home and at work, benefit from dads who share the burden in taking care of children. The failure to provide explicit, consistent, and strong supports for fathers is a failure to pave the way for a more equitable kind of parenting. My research – and that of many others – shows that if fathers are to take on more caregiving at home, they should be provided with the tools to become more engaged with their families. This would not only distribute parental expectations more evenly, but also eliminate the overly restrictive gender boundaries that limit men and marginalise women. Yes, I applaud changes that have helped fathers be more involved parents than ever before. But it’s not enough. We need cultural and political change that emphasizes the significance of fathers for families and the crucial role women play in the workplace. By Kevin Shafer, Associate Professor of Sociology; Faculty Affiliate in Social Work, Brigham Young University. This article was originally published on The Conversation. Read the original article. Do you agree that dads need to be welcomed and supported in the prenatal and postnatal phases, and given more support at work so they can take up more fatherly duties at home? 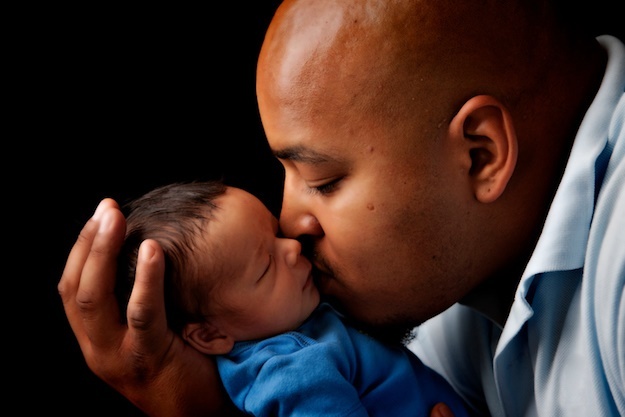 What do you think about paternity leave for South African dads? Send your comments, and photos of dad and child to chatback@parent24.com and we may publish them. If you'd like to remain anonymous, please tell us. If you send photos of under-18s for publication, please note that you need the permission of the parent or legal guardian.